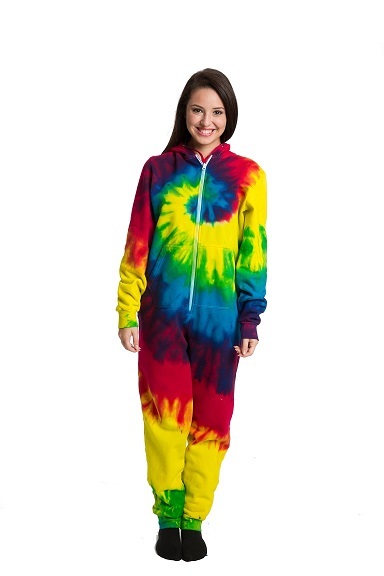 You'll look cool and be warm at the same time on those cold winter nights if you have one of our Rainbow Spiral Tie Dye Fleece Onesies. Just like a baby onesie, only bigger for adults! This all in one jumper has a zipper on the front, a hood, and 2 pockets. It's made from 80/20 fleece, no shrink premium cotton. As with all tie dye, no two are alike.